Apartments BITACORA Lanzarote. OFFICIAL WEB. Best Price Guarantee. 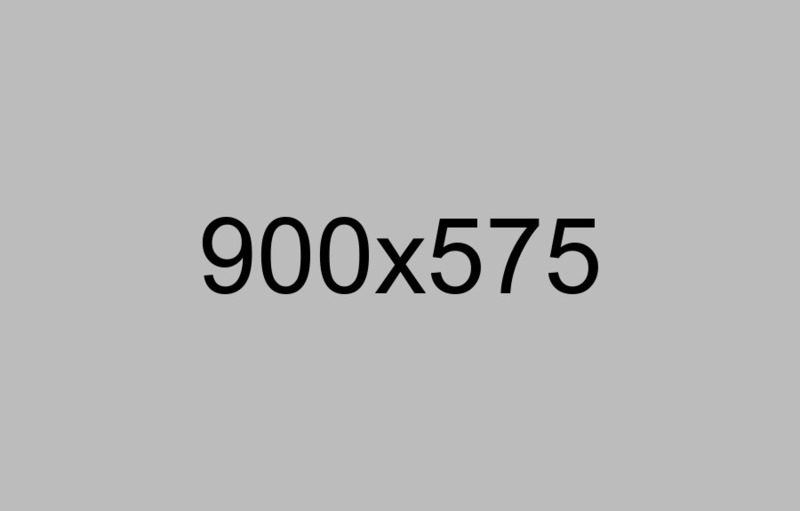 1.- 10% discount on the price of the Normal Price Rate. 2.- 5% discount on the price of others rates. 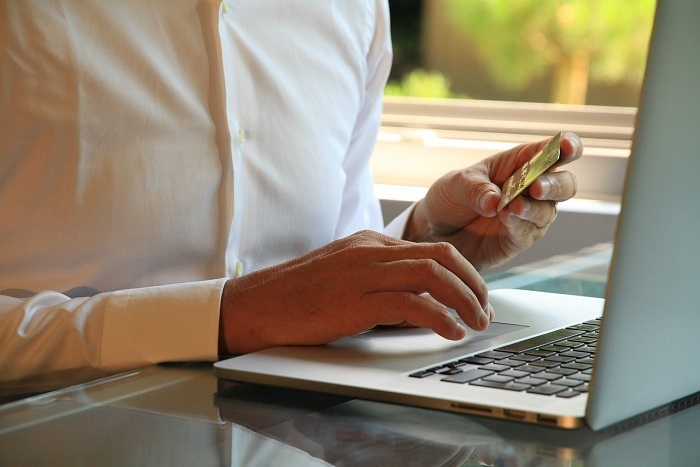 3.- Exclusive offers for customers to be communicated via email. 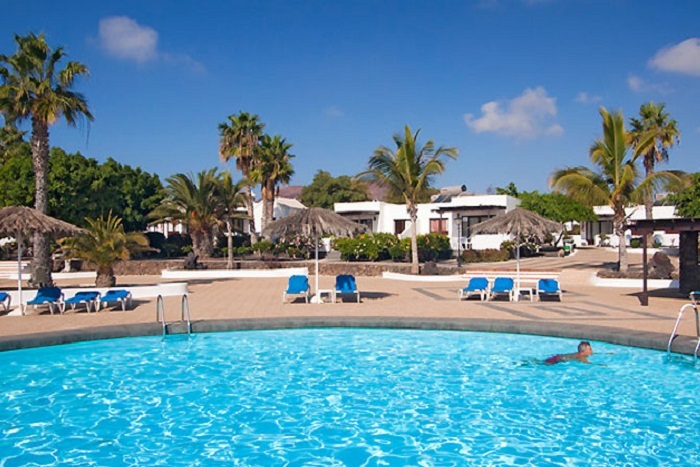 Note: Apartamentos Bitacora Club Lanzarote the right to add, modify or delete benefits. Welcome to Apartments Bitácora Club Lanzarote. Calle Alcorce, 11. Puerto del Carmen 35510, Lanzarote. España. 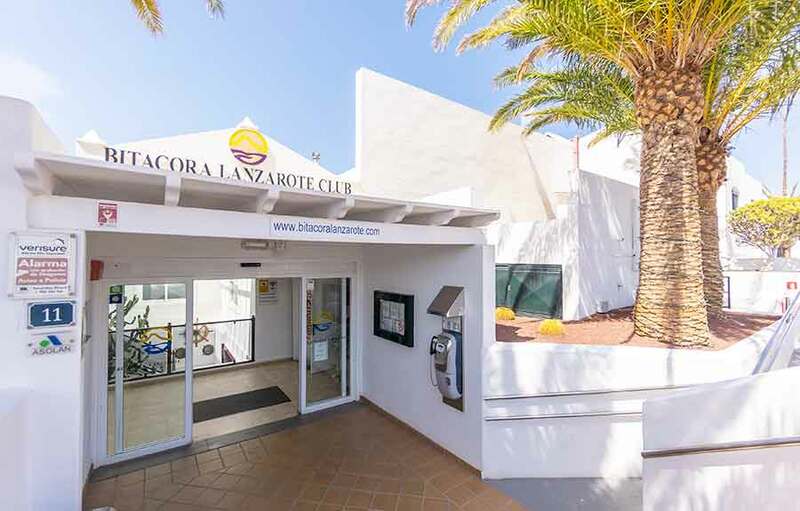 Apartments Bitacora Club Lanzarote offers everything you need for your holidays. You can relax, flee from noise and stress, let the sun embrace your body and baths in the sea, or take excursions and entertainment activities. Apartments Bitacora Club is located ten minutes walk from the center of Puerto del Carmen, with its great selection of bars and restaurants around the port, just 7 minutes from the Biosfera shopping center, with famous stores such as Zara, Mango and many more) and 5 minutes from Playa Grande of Puerto del Carmen. Lanzarote is an impressive island full of contrasts, with amazing volcanic landscapes, beaches of white, black or golden sands, it is one of the smallest islands of the Canary Islands but unique in many aspects, making its visitors return again and again. 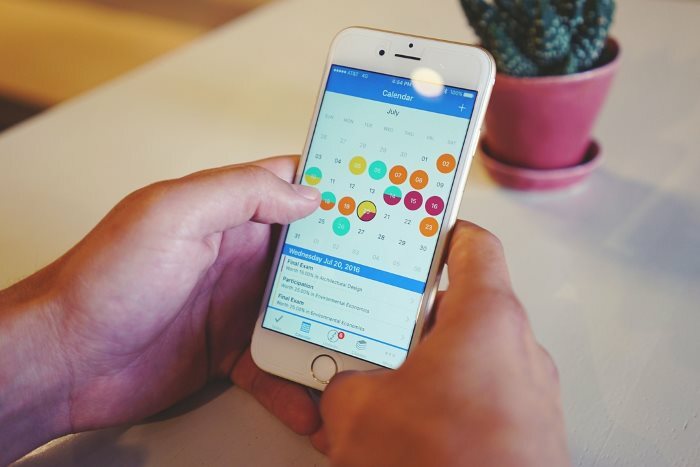 We invite you to book on our website in complete safety and at the best online price, our reservation system publishes the availability of rooms and the rates available in real time. We can guarantee the encryption of your personal information by having a Secure Certificate "Secure Socket Layer, SSL", (indicated by the green padlock in the browser bar). Reception Hours: Monday, Thursday and Sunday: 9 a.m. to 9 p.m. // Tuesday, Wednesday, Friday and Saturday: 9-13 hrs. and 16-21 hrs. If your arrival is scheduled outside our reception hours, do not worry, we will contact you. 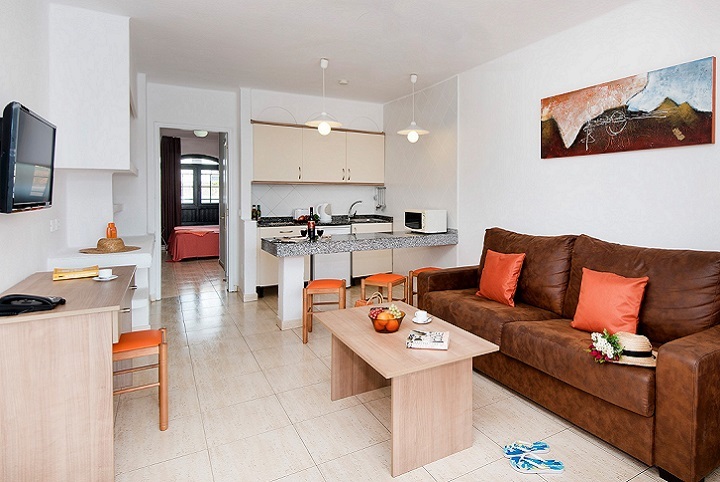 A quick impression of Apartments Bitacora Club Lanzarote. Recently renovated and decorated, distributed in high and low levels, located around the pool. They have a room with two single beds, air conditioning, bathroom with shower or bathtub and hairdryer. Kitchen equipped with a hob, microwave, water heater, toaster and fridge, TV with international channels, sofa that opens as double bed, telephone and safe (for rent). Terrace or balcony with chairs and tables. 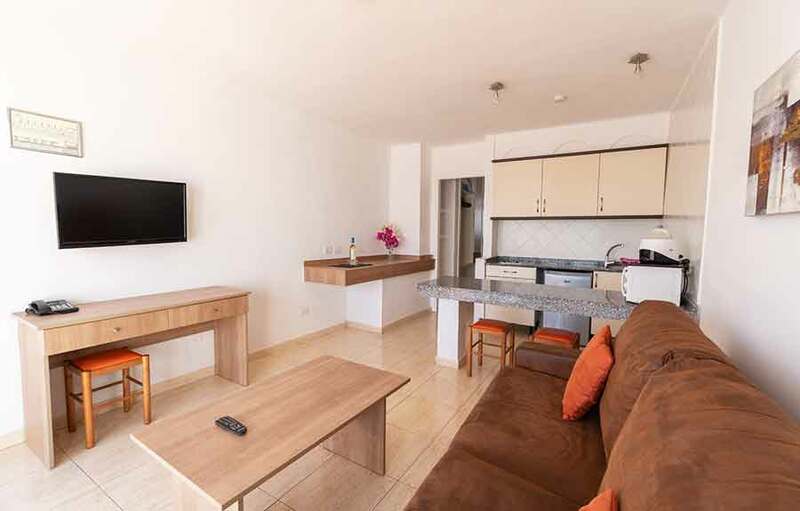 Recently renovated and decorated, consists of a 1 bedroom apartment connected to a studio, designed for the comfort of families or two couples as they have large spaces with two terraces, two kitchen areas, two bedrooms and two bathrooms. Equipped with air conditioning, coffee maker, refrigerator, microwave, ceramic hob, toaster, water heater, satellite TV, telephone and safe (for rent). 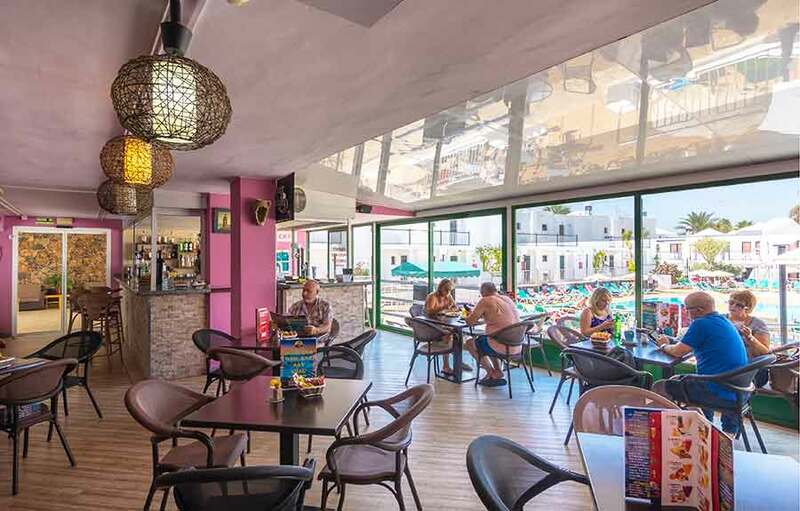 The services of Apartamentos Bitacora Club Lanzarote are aimed at guaranteeing the maximum enjoyment of all our guests, in a cozy atmosphere and with personalized attention. The following are our services most appreciated by our guests. Breakfasts, lunches and snacks. Summer opening hours from 9.00 AM without closing time established. Winter 9 to 18 h.
You can rent a safe box for the apartment, 1 day = 3 euros, 1 week = 15 euros (plus 3 euros deposit). WI-FI Internet service (Payment), 1 day = 6 euros, 3 days = 12 euros, 7 days = 25 euros. Free Wi-Fi in the Pool Bar. Variety, quality and good prices. Timetable: Monday to Sunday from 8 a.m. to 11 p.m.
Air conditioning in our apartments without cost, only pay 20 euros deposit. Offer valid for bookings made 60 days before arrival. Frequent customers 10% OFF on Normal Price and 5% extra on Offers. El personal es muy amable, tanto los chicos del bar como la chica de recepción. Es lo que más me ha agradado. Hemos estado a gusto, no hay nada que destacar porque habéis cumplido nuestras expectativas. Places of tourist interest in Lanzarote. Los Jameos del Agua, al igual que la Cueva de los Verdes, se localizan en el interior de un túnel volcánico producido por las erupciones del Volcán de la Corona. Los Jameos se localizan en la sección del túnel más cercano a la costa. Deben su nombre a la existencia de un lago interior originado por filtraciones marinas, y que constituye una formación geológica singular. 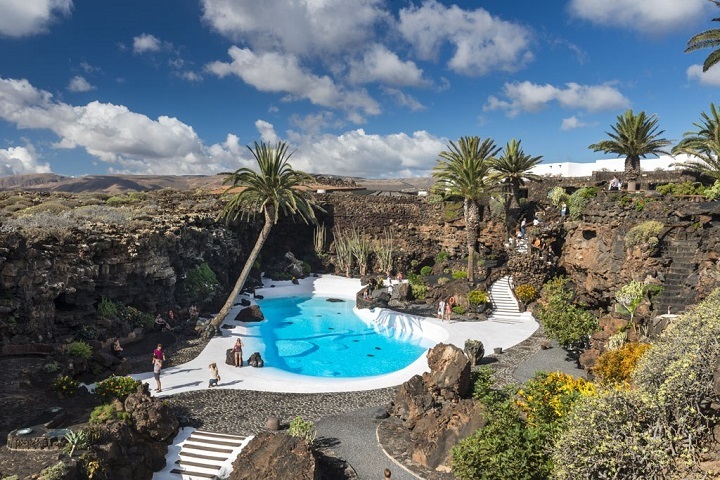 Descubre todas las atracciones del mayor parque acuático de Lanzarote. 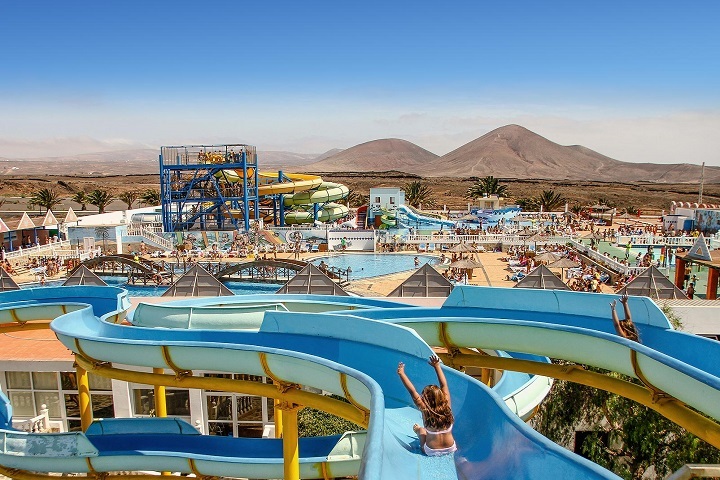 En Aquapark pasarás un día estupendo con tu familia y amigos. 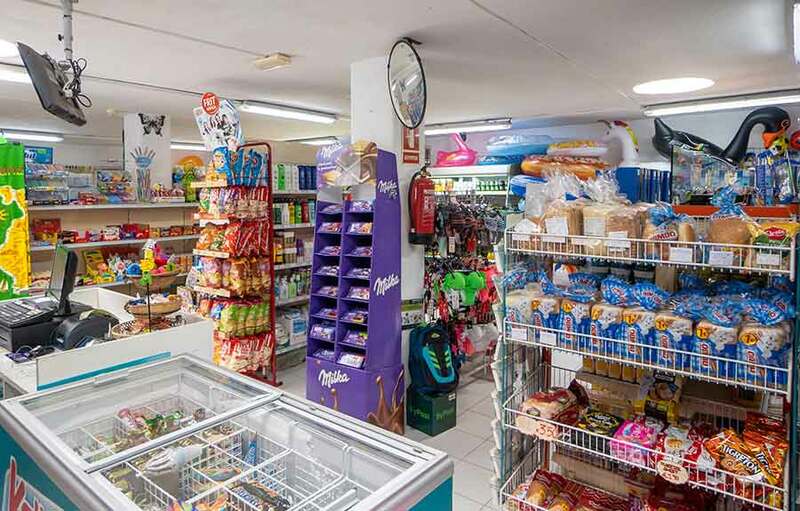 Abierto de 10:00 a 18:00 h.
Edad niños 4 a 12 años. 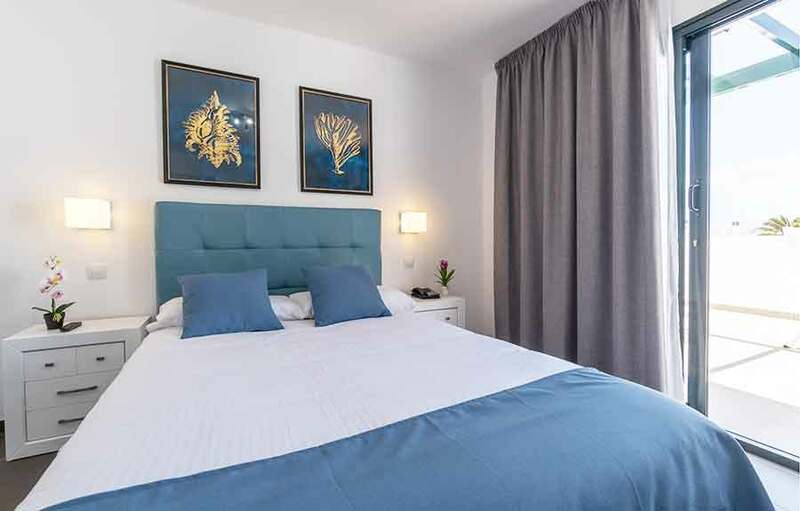 *Medio día es a partir de las 15:00 h.
Located in the town of Playa Blanca, south of Lanzarote, a few meters from Playa Flamingo and its commercial promenade, offering you a holiday of rest and relaxation. I agree with the terms of Bitacora Club Lanzarote.